Update: Previously one of my Cons at the bottom of this review listed “I wish you walked a little bit faster”. As it turns out you can move faster by holding R2. The game takes a few seconds to build momentum, but there is a slight increase in speed. 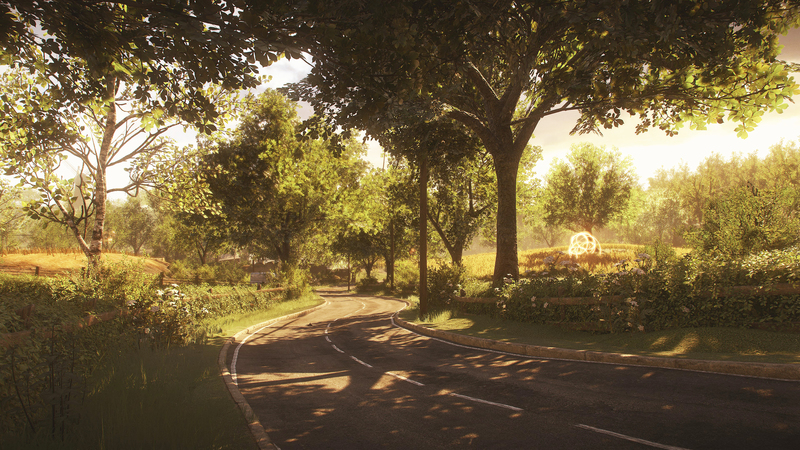 The logo for Everybody’s Gone to the Rapture features two people standing together hand-in-hand. I like this particular image because it represents a story that’s not just about the end of the world. Instead it provides a look into the lives of the Yaughton community, insight into what kind of people they were, and clues as to where things went wrong. There isn’t a linear story to experience, but rather one that you’ll discover for yourself at your own pace. Similarly this isn’t something that’ll explain every little question that you might have. A lot of things will be left for people to fill in the gaps themselves. From the outset you can freely explore Yaughton in whatever way you’d like. There are radios/phones left around town that can be used to hear audio diaries and floating orbs that, when followed, will activate scenes that focus on different characters. In these scenes the orb of light will take the form of people interacting with each other. Specifically the scenes tell a story about six characters that all have their own arc. Each section of the overall map focuses on one character with more being introduced as you progress through the game. Witnessing every scene isn’t required, though you’ll miss out on important information, and progression is only limited by when you want to move on. Yaughton is a beautiful little village made even more interesting that it doesn’t really give the impression that it’s abandoned. Everything is left in place as if the community just left moments ago. There’s something about it that made me want to explore every house, read every sign, and interact with everything. Unfortunately that’s not entirely possible. Many buildings are locked up and, aside from the audio diaries, you can’t interact with most things in the environment. There are some exceptions, but for as big as the world is I wish there was a bit more. Now at the same time the interiors of buildings you can explore all look great and the flyers put up around the world provide a good bit of detail into the people who used to live here. Of course four months from now I’m not going to remember that there wasn’t much to interact with. Instead I’ll think about how great voice acting/writing made each figure of light feel like a real person, the soundtrack that I’ll just let speak for itself, and the way each character’s story tied together. I can’t say much, but the end of each character arc is presented in a truly incredible way. It’s been a few days since finishing Everybody’s Gone to the Rapture and in reflection I think back to a conversation we had with the creator of The Fall. In it we brought up J. J. Abrams’ mystery box talk and how a good mystery shouldn’t reveal everything. I’ve thought about this a lot because I personally didn’t feel completely satisfied with how things wrapped up with Everybody’s Gone to the Rapture. There’s some great buildup to the last fifteen minutes of the game and it all just fell flat for me. Partly because I wish there was a bit more to it, but also for reasons that I can’t spoil. The Chinese Room have created a compelling cast of characters with interesting stories that come together in some really cool ways throughout the game. 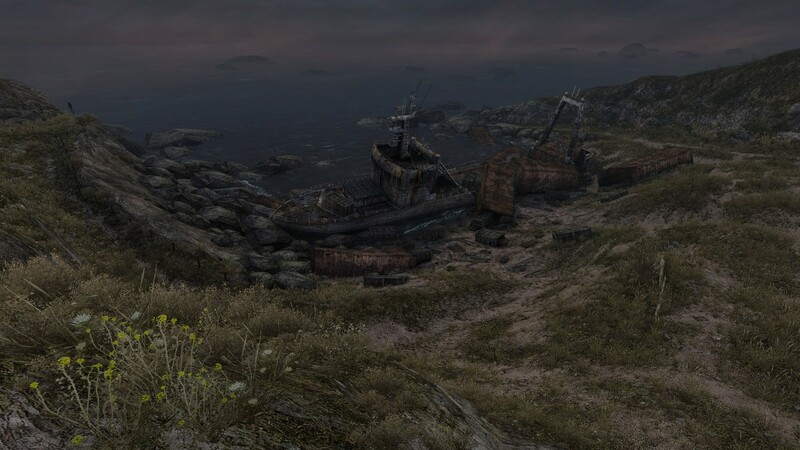 The powerful soundtrack and beautiful landscape of Yaughton only help to make the whole experience even better. I’m excited to discuss the story with others, share theories, and maybe find answers to some questions that still bother me. Until then I’ll be sure to keep the soundtrack on repeat.